Many children with behavioral or developmental disabilities are missing vital opportunities for early detection and intervention. Many children with developmental delays are not being identified early. In the United States, 17% of children have a developmental or behavioral disability such as autism, mental retardation, and Attention-Deficit/Hyperactivity Disorder. In addition, many children have delays in language or other areas, which also impact school readiness. However, less than 50% of these children are identified as having a problem before starting school, by which time significant delays may have already occurred and opportunities for treatment have been missed. The Individuals with Disabilities Education Act (IDEA) Amendments of 1990 to 1997 require states to provide early identification and provision of services to infants and toddlers with 1) developmental delays, 2) established conditions that are associated with developmental delays, and, 3) at the state’s option, children at risk for developmental delays. States that do not serve the at-risk population are encouraged to track and monitor these children’s development, so that they may be referred in the future if needed. IDEA also mandates that states refer children, free of charge, for a comprehensive, multidisciplinary evaluation by a team who, with the family, decides on which services are needed for the child (via the Individualized Family Service Plan). Furthermore, it mandates states to implement coordinated, family-centered, and culturally competent community-based systems of care, to provide early intervention services for children identified with developmental problems. 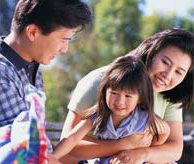 The National Early Childhood Technical Assistance Center, lists early intervention programs by state and provides their contact information for interested parents and professionals. Parents are interested in knowing more about their child’s development and pediatric practitioners need to be better prepared for this. Recent surveys indicate that parents want information and guidance from their health care provider about their child’s development. However, studies sponsored by the American Academy of Pediatrics show that about 65% of pediatricians feel inadequately trained in assessing children’s developmental status. Who provides developmental screening services? The Parental Evaluation of Developmental Status, or PEDS, is an 8-question survey addressing parental concerns that only takes a few minutes for the parent to complete and for an office staff member to score. The Ages and Stages Questionnaire or ASQ, is an age-specific questionnaire with exercises for the parent to complete with the child. The Child Development Review covers developmental attainments at different ages and, like the previous tools, help you to identify parents concerns about their child’s development.